As you might know vitamin B12 is very important for our health. Without its sufficient intake, you may suffer from anemia as well as nervous system impairment. Vegans have to carefully watch their diet because there are only a few foods in a vegan diet containing vitamin B12 like some plant milks, some breakfast cereals and some soy products. Vitamin B12, whether in animal products, fortified foods or supplements, comes from microorganisms. Some vegans consume sufficient B12 to save themselves from anemia and nervous system impairment, but many others don’t get it in sufficient quantities to reduce the potential risk of heart disease or complications in pregnancy. If you choose to have fortified foods, go through the labels carefully to ensure you will be getting sufficient B12. Thus if a fortified food consists of 1 mcg of B12 per serving, you’ll have to consume three servings daily to get adequate B12. 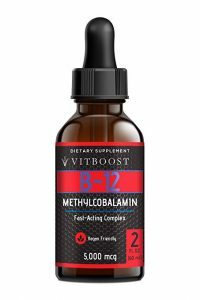 Many vegans therefore prefer B12 supplements because they are economical and convenient. The less often you get B12, the more of it you’ll have to take, since B12 is best absorbed in small quantities. The amounts recommended above are based on this consideration. But exceeding them or taking combinations of more than one option will make no harm. B12 is lot more different than other vitamins since it is needed in smaller quantities than other vitamins. 10 mcg of B12 spread over a day is sufficient for the body. If any apparent dietary supply is absent, it typically takes 5 or more years to develop deficiency symptoms. B12 is the only vitamin that has not been reliably identified as being supplied from a range of wholefoods and plant-based diet along with exposure to sun. During the 60 year history of veganism the only vegan sources of B12 have been proven to be B12 supplements and B12 fortified foods. Therefore all vegans should make sure they get a sufficient intake of B12 from vitamin B12 liquid or solid supplements or fortified foods. Make sure you get adequate amount of B12 and live a healthy life while continuing with veganism.